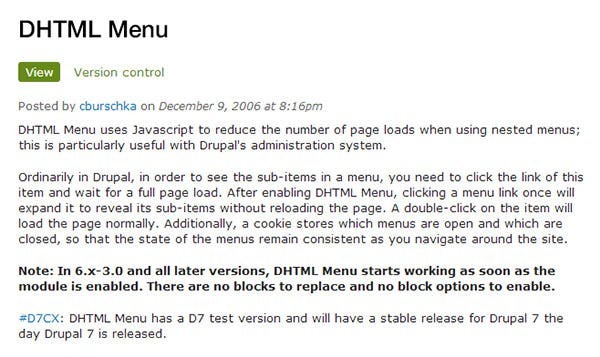 Drupal Menu Modules are used to enhance the Drupal’s default menus. These premium menus are extensions which let the users navigate very quickly to the various sections of the site. The best example for the functioning of such modules is the presence of the inline context editor which allows moving blocks which had been pre-set by Context. If you want to specify additional attributes like name, ID, class, style etc. 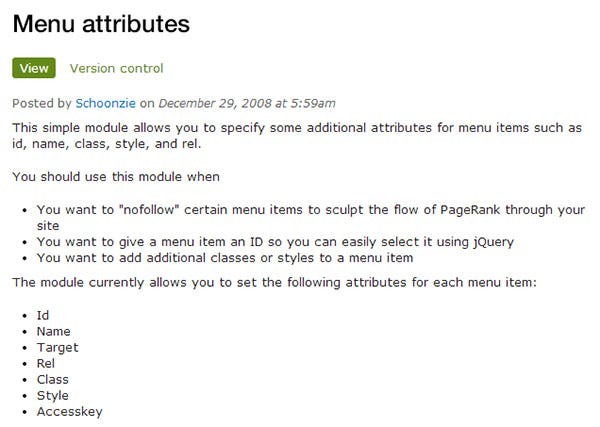 for menu items, make use of this module. You can use this when you want to add an ID to an menu item or add classes or styles. 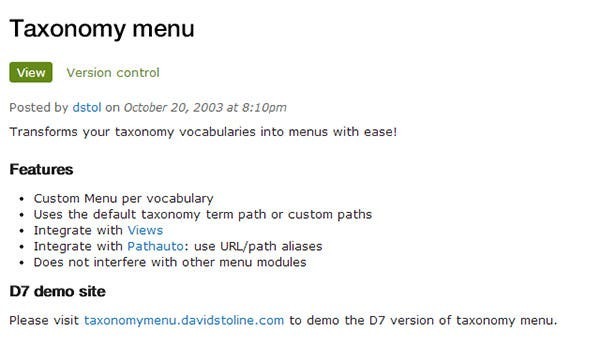 This Drupal menu module lets you convert your taxonomy vocabularies into menu. It offers many features like custom menu per vocabulary, no interference with other modules, seamless integration with View and Pathauto. Used by around a million sites, this indeed is a great choice. 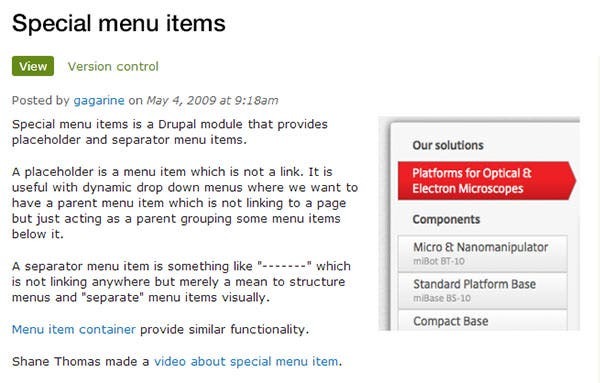 Another useful Drupal menu extension, this offers placeholder—a menu item which is not a link but works like a parent menu without linking anywhere and separator—it does not link anywhere but helps in structuring menu and visually separating menu items. This Drupal module offers an administration interface which in theme independent and is a great choice for people who are new to this field and is a great time saver. It contains tasks and actions apart from regular menu items. 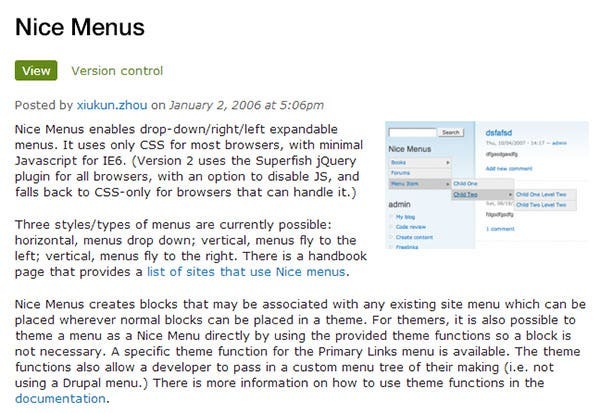 If you want display your menu items ‘really deep’ then this Drupal menu plugin is one great option for you. 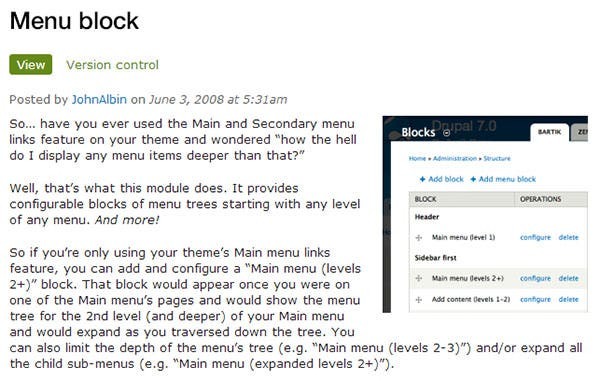 It offers configuration blocks of menu trees, no matter what the level is. It is easy to use and install. 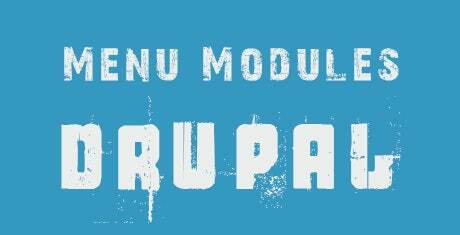 Known as MD Megamenu, you can make your menu list all the more interesting with this module. You can create amazing menus with icons, typography, and even videos. It is mobile optimized and comes with numerous features. Improve your site’s navigation with this Drupal module that let’s you add texts, images, tabs, slideshows, menu blocks, and much more. It works by creating menus with all your blocks in the form of attachment, slideshows, custom blocks, tables, etc. This is a type of drop down which is an improvement over the drawbacks of conventional drop downs in terms of usability. Your menu stays visible all the time, thereby reducing clicking, searching and overall navigation. They are the most fantastic choices when it comes to creating exclusive menus. With none of the knowledge of coding necessary, all the user has to do is simply drag and drop desired things to its places. This way with the help of the top menu modules, one can craft fixed, horizontal or vertical responsive menus with varied amount of effects and styles. Such features of the menu modules can be availed for free and help in customizing the site to a great extent. The navigational capacities of the Drupal site increases tremendously by the addition of text, images, slideshows, videos and much more. There are even tabs, menu blocks and other user info which are at the disposal of the user courtesy the classy Drupal Menu modules. The mega menus thus created facilitate content such as blogs, user’s posts and also allow viewing of complex graphics and other HTML assets. 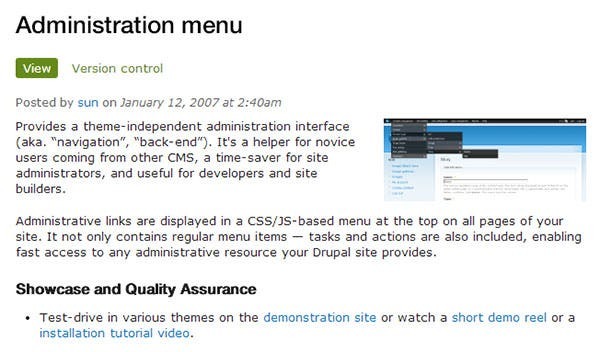 Designed to enhance the functionality of the default menus, these Drupal menu modules let users navigate through your site easily and find what they are looking for easily. 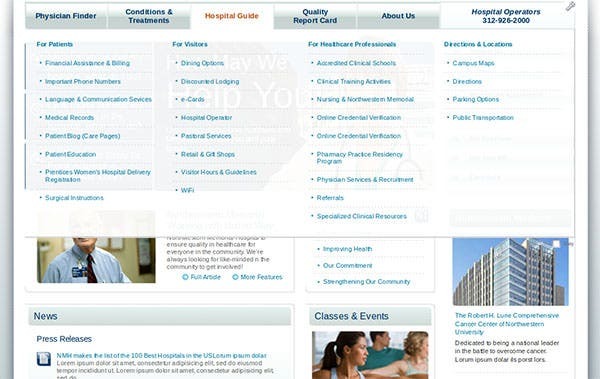 You can use any of these to create attractive menus and customize your site as well.